The SureFlap Mounting Adaptor allows the SureFlap Cat flap and SureFlap Pet Door products to be installed inside glass and walls. The total diameter of the mounting adaptor is 285mm. 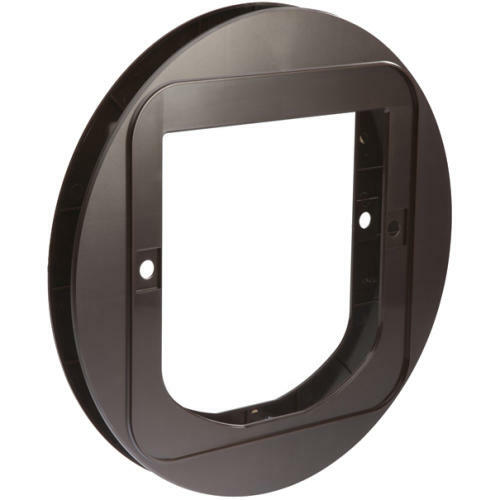 Using the mounting adaptor for wall installations enables you to install the cat flap/pet door more easily because you can use it to fix the cat flap to the wall without the need for messy adhesives. The Mounting Adaptor includes two parts, one for the exterior and one for the interior of your home.